Because it contains goldenrod, horsetail, and common knotgrass herbs, as well as lingonberry and birch leaf, the product helps urinate and maintains the health of the urinary tract, especially in case of an infection. These herbs help remove bacteria, crystalline compounds, and harmful metabolic waste from the urinary tract. Ingredients: Goldenrod herb 30%, horsetail herb 25%, common knotgrass herb 15%, birch leaf 15%, lingonberry leaf 15%. 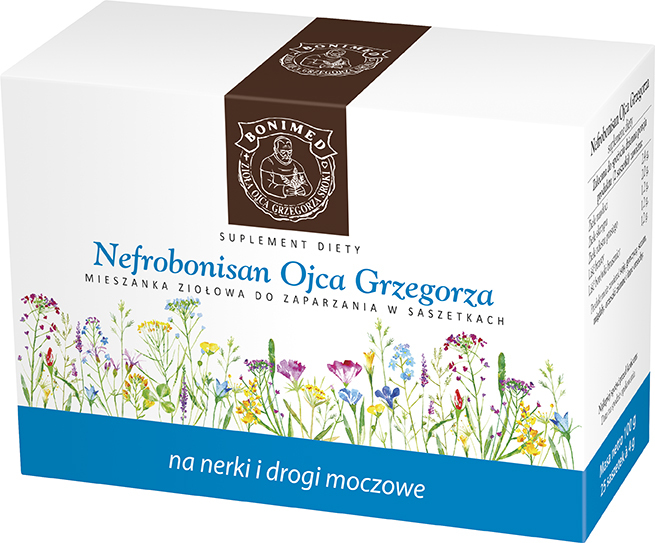 Recommended daily intake of the product (2 sachets) contains: Goldenrod herb 2.4 g, horsetail herb 2.0 g, common knotgrass herb 1.2 g, birch leaf 1.2 g, lingonberry leaf 1.2 g.